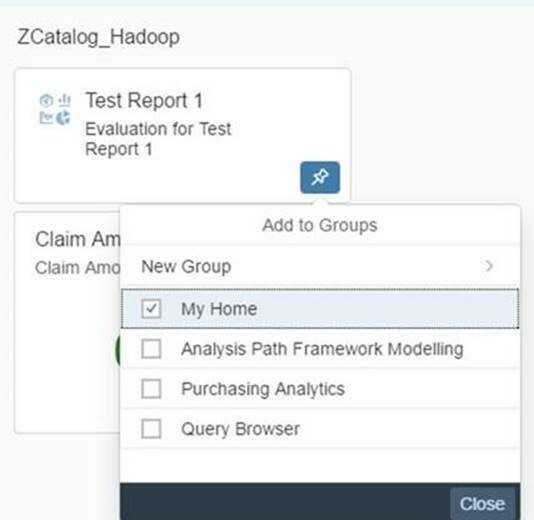 S/4HANA is steadily gaining shape in the market and so is the S/4HANA Embedded Analytics. Through these series of blogs, am trying to give you a glimpse of various tools that are currently available for the customers. 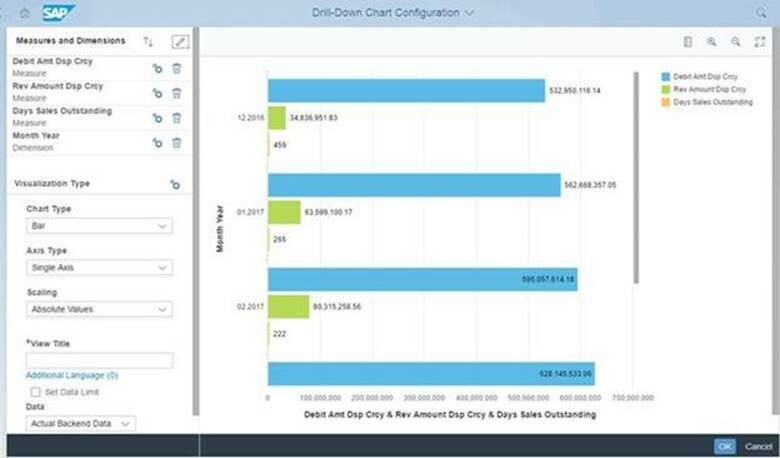 It is the collection of all Analytical Features integrated in the SAP S/4HANA Suite that enables, Business users or end users to perform real time analytics or operational reporting on the live transactional data. 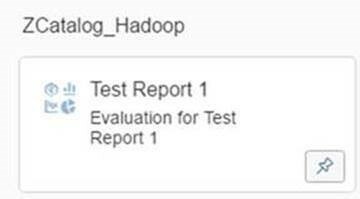 It comes with a set of predefined and prepackaged representations of operational data. 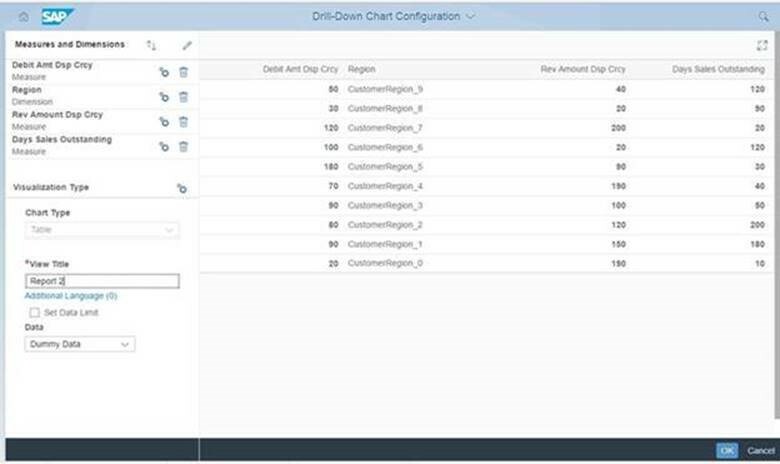 These representations called VDM (Virtual Data Models) allows business users to derive good insights into the data. 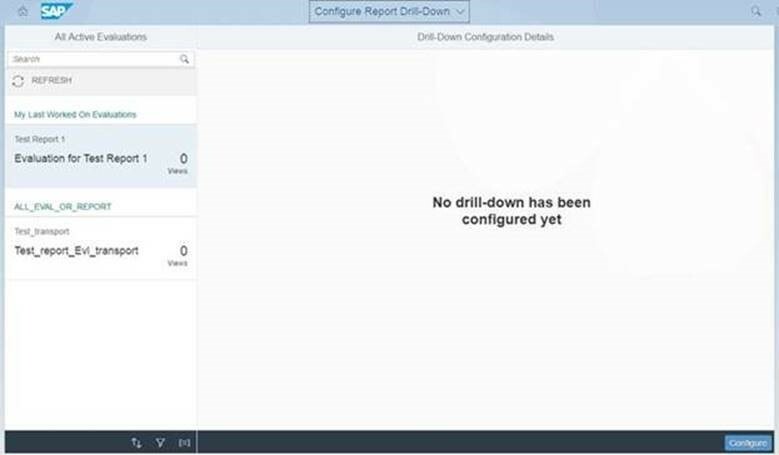 Through this part, am going to take you through a new tool set that was introduced in SAP S/4HANA 1709. By now, many of you would have seen or utilized the following tiles to create a SMART Business App. 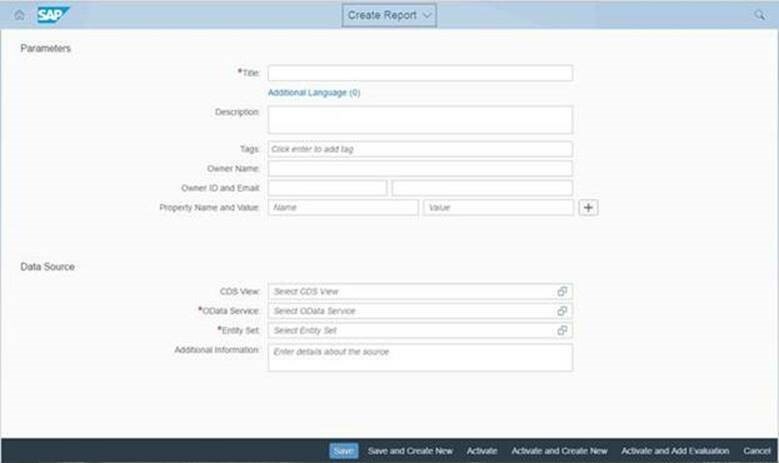 You can use this “Report Modeler Framework” to create an Analytical List Report without any sort of coding. Let’s try to see how we can use the above app’s to create some meaningful reports. 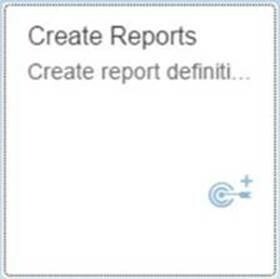 1) Click on “Create Reports” App. 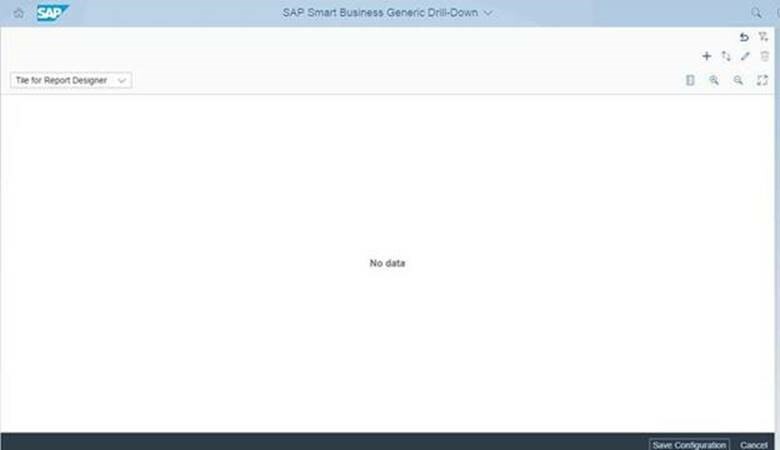 Same as in Smart Business Framework, provide the basic details like CDS Views, odata Service and Entity Set. I have filled in the required details. Please not here am using a Standard Consumption type CDS view related to Days sales Outstanding. Give Customizing Request. This ensures that our developments are properly tagged to a Request. 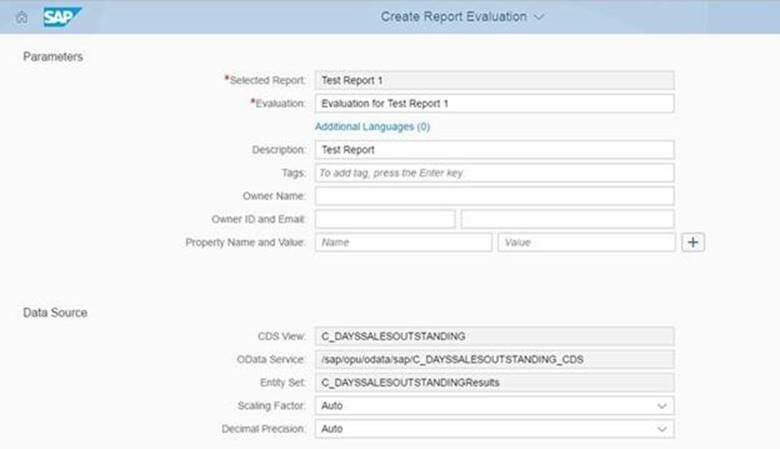 This will open up the App named “Create Report Evaluation” . Provide the necessary Evaluation details like Evaluation name and so on. 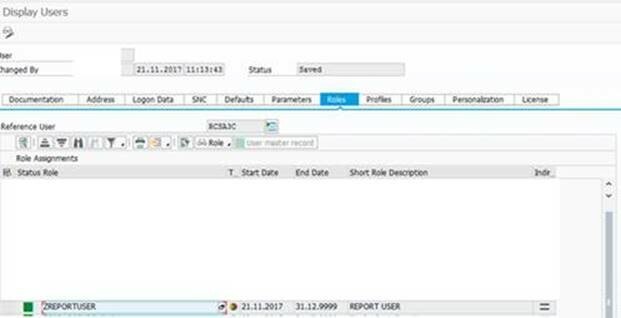 The Input Parameter related details are filled and click activate. Click Configure. Provide the required Dimensions and measures for analysis. 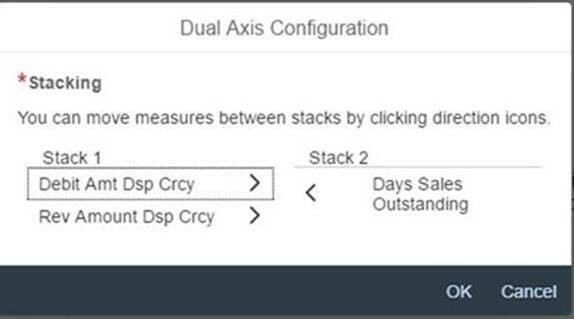 There are options for Single and Dual Axis. Dual Axis would provide Stacking facility. There are different Chart Types Available. The “Analytical List Page” broadly has 3 different panes like Filter, Charts and Tables. So I believe its mandatory to have 2 separate views to save our configuration at this stage. 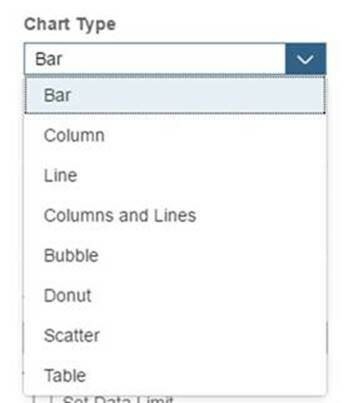 Also the configuration chart type would be “Table” ; By Default. Provide a meaning full name. Now Both Configurations are saved. 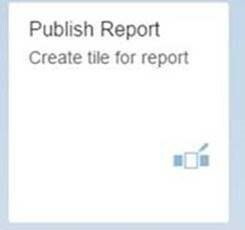 You can see the report and evaluation names created in steps 1 and 2 in the Tile and Sub tile respectively. Tag your developments to your related “Catalog”. Also its mandatory to provide the Semantic object and Action, here in this screen. 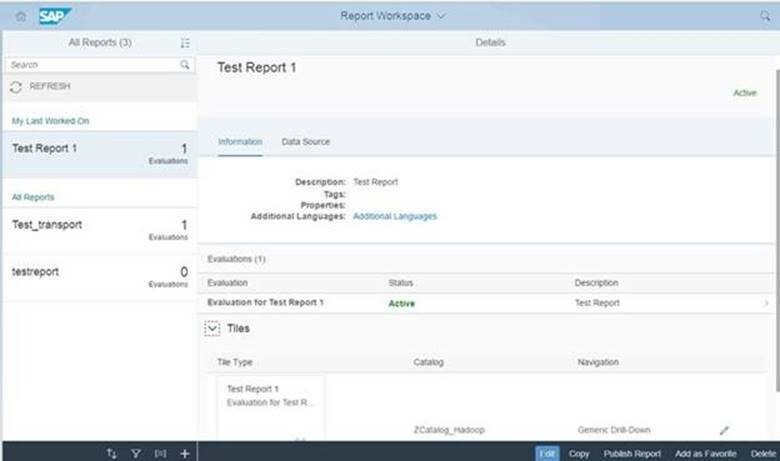 Always, you will have the flexibility to see your entire developments in the “Report Workspace” App. 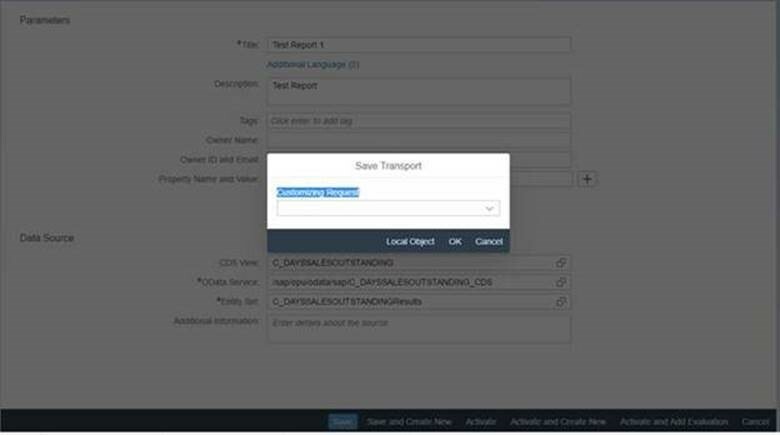 5) Now Create a meaningful Role in PFCG and add your catalog to the Role. 6) Add the role to the user. Here am using a dummy user. 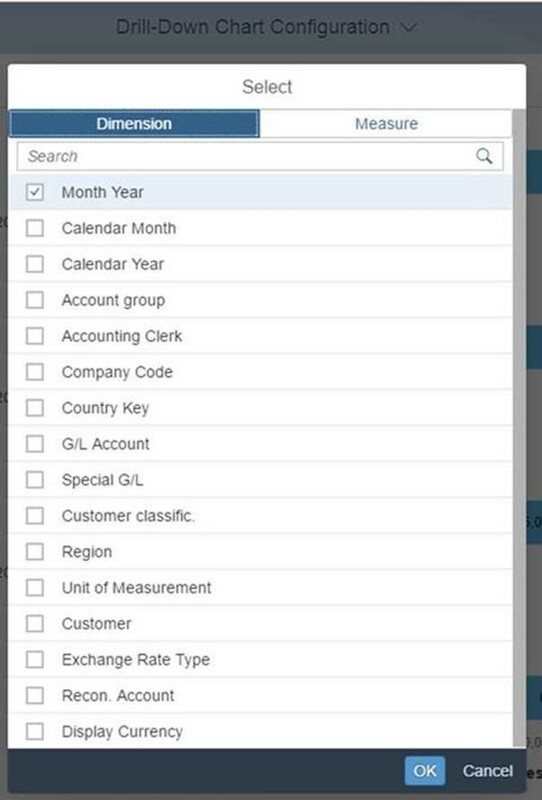 Use App Finder to look for your catalog. Add it to the required folder. Am adding to Home page. 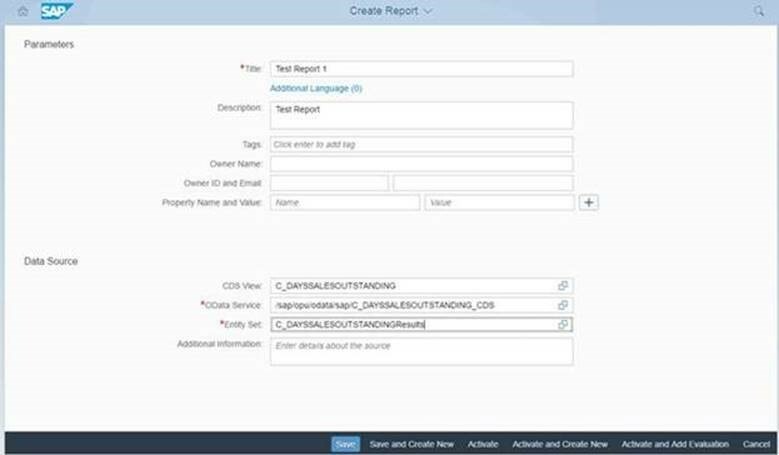 8) Now log into the Home Page and See your Analytical List Report ready for the user analysis. 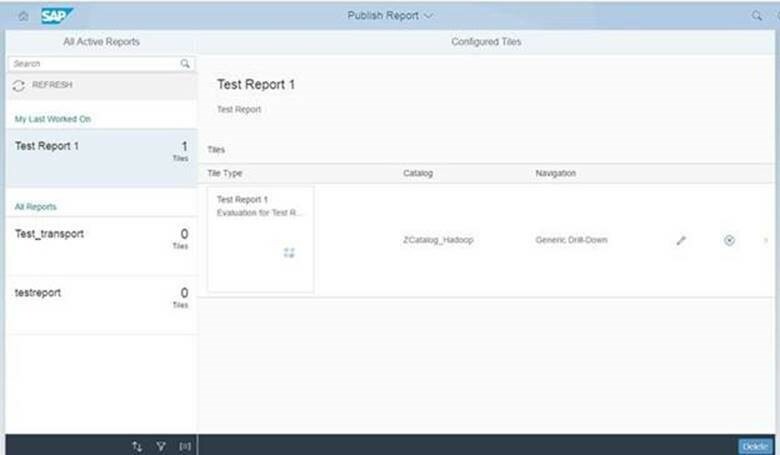 Please note that this feature is relatively new and has come up with 1709 release. 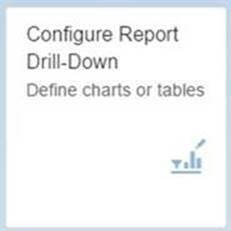 My intention with this blog was to take you through the steps and help you understand how easy is to configure a Report with the help of this framework. If I manage to find more information on this topic like additional features or existing limitations, I will certainly add the same to this blog. Hope this blog was useful for you. Do let me know your Reviews and Suggestions.